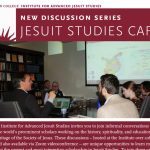 Jesuit Studies Café offers unique opportunities to learn about the newest research in Jesuit Studies. The informal conversations are hosted by the Institute and are also available via Zoom video-conference. The 2019 schedule is now available. Contact the Institute to learn how to join the conversations (iajs@bc.edu). 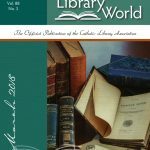 A Catholic Library World article explains the story behind the Portal to Jesuit Studies–its origins, development, collaborators, and future plans. The article received the 2019 John Brubaker Award to recognize an outstanding work of literary merit. 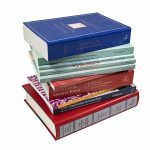 The Jesuit Online Bibliography is a free, multilingual, and fully searchable database of bibliographical records of scholarship in Jesuit Studies. 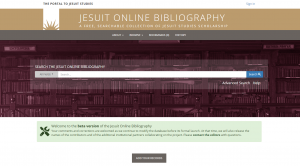 A beta version of the platform is now available in Open Access at jesuitonlinebibliography.com. The project’s editorial oversight is a collaborative effort between Jesuit institutions — the Archivum Romanum Societatis Iesu, the Jesuitica Project at KU Leuven, and the Institute for Advanced Jesuit Studies at Boston College. A voluntary network of contributors directly upload records into the database, which consists of more than 15,000 records in nearly 50 languages. With the support of the project’s institutional partners, this resource is available in Open Access, and users may also create a free account to save searches and to bookmark results. The bibliographic records are included within the search capabilities of the Portal to Jesuit Studies. To learn more, please contact jesuitonlinebibliography@bc.edu.